Samford University is continuing a growth pattern that began eight years ago, setting multiple records with the fall 2016 enrollment. University officials announced a record of 5,471 students as of Sept. 12. This total exceeds last year’s record of 5,206 across all undergraduate and graduate/professional programs. In addition to the record total, the fall enrollment figures include a record 916 first-year full-time students, exceeding the record set last year of 826. Included in the totals are 3,341 undergraduate and 2,130 graduate/professional students, both records, representing 47 states and 29 other countries. The record freshman class is one of the most diverse and academically accomplished in Samford history, according to R. Philip Kimrey, vice president for student affairs and enrollment management. The records come at a time of national recognition and expansion across all academic schools at Samford University, Westmoreland noted. 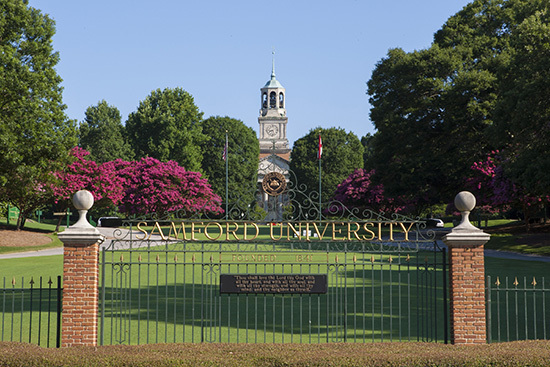 Samford University is the top-ranked private university in Alabama. U.S. News & World Report ranked Samford #4 in the South for regional universities and #3 in the South for best undergraduate teaching.